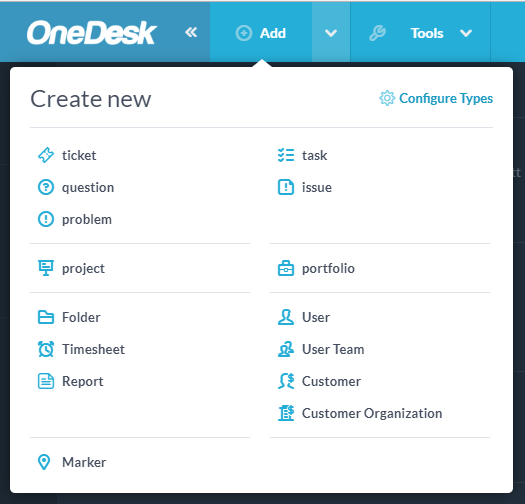 Create the items you need in OneDesk. Now that you know the basic concepts in OneDesk, it is time to start adding stuff. 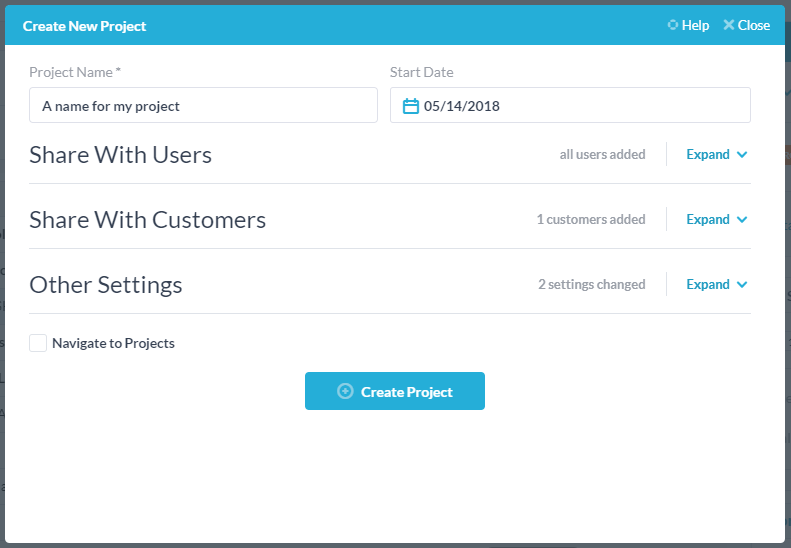 You can create items, projects, users, customers, timesheets and more. Click the down-arrow next to the “Add” button in the top bar and select what you want to create from the menu. If you click the “Add” button itself, OneDesk will try to create what it thinks you want based on your current selection, defaults and the application you are in. To create items in bulk, you can import items (from CSV or MPP), or clone existing projects. When you create a new project you can choose who to share it with. By default it is shared with all users in your company at the time it is created. Any properties you select here can be modified later if you change your mind. 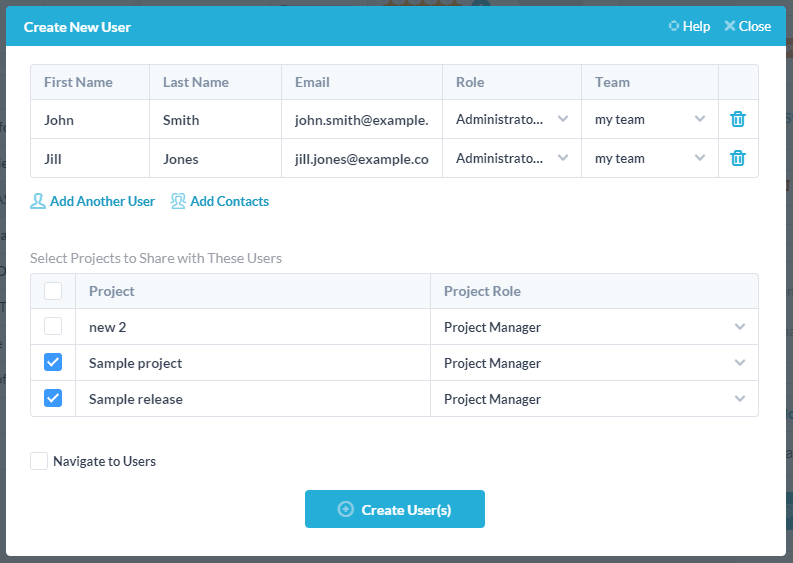 You can create users or customers one at a time or import customers from CSV file or from your Google contacts. You can create teams (groups of users) or customer-organizations (groups of customers).